I took the above photo with a Canon PowerShot A3100 with 15 sec exposure. 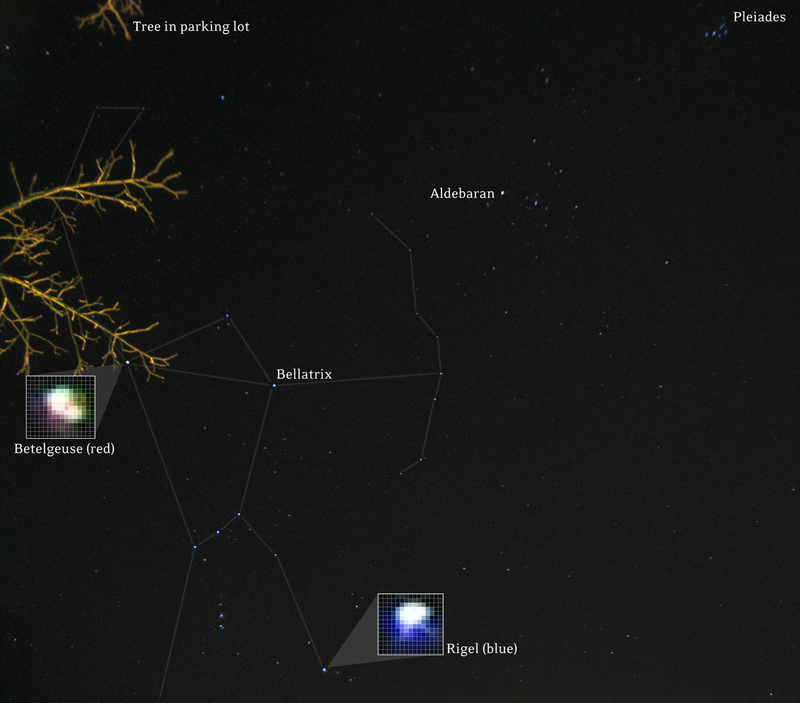 Some adjustment for darkness and contrast in Adobe PhotoShop, and obviously to add the constellation lines and labels. 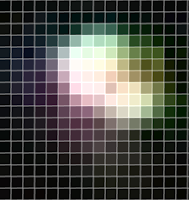 I was very excited to see if I could tell the difference between Rigel and Betelgeuse by zooming down to individual pixels. The Canon A3100 is a 12.1 megapixel camera, and it looks like I captured some color difference between the two stars. I can only assume the colors shown are actual visible light differences, and not simply an artifact of the slight motion blur of a 15 second exposure without a tracking mount for a tripod. 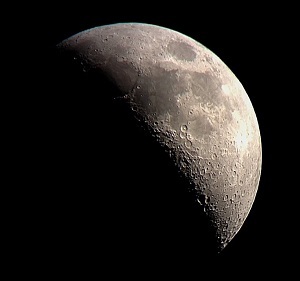 Actually, I didn't even use a tripod for this picture, I just set the camera on the roof of my car in the parking lot. Betelgeuse is supposed to have a red color because it has a lower temperature. 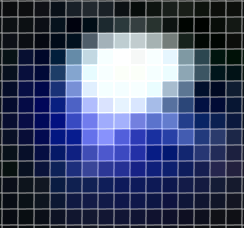 Rigel is much hotter than Betelgeuse, so it appears blue. You can see some slight difference in color with the naked eye if you look back and forth between the two stars in Orion's right foot and left shoulder.